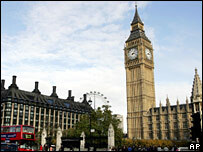 Greater transparency over MPs' expenses could put people off standing for Parliament, Commons authorities say. Resources boss Andrew Walker said rent, phone, food and other bills could offer a "peephole" on MPs' private lives. MPs need not provide receipts on items under £250 or food claims of up to £400 a month. The Commons is fighting a ruling that more details are published. Hugh Tomlinson QC said it was "wholly fantastical" to suggest that a monthly phone bill would be a big intrusion. Earlier this week Commons speaker Michael Martin announced a "root and branch" inquiry into all aspects of MPs' expenses, after MP Derek Conway was suspended over payments to his son. But the tribunal hearing relates to requests from two journalists and freedom-of-information campaigner Heather Brooke dating back to 2005. They requested details of expenditure under the additional costs allowance (ACA), which covers costs incurred by MPs while staying away from their main home and under which MPs can claim up to £22,110 a year. Eleanor Grey, representing the Commons, told the tribunal a balance had to be struck between the rights of public interest and the rights of individual MPs to keep personal information private. She said expenses relating to keeping a second home were personal and the system of MPs' allowances was a "self-regulatory one" as MPs were accountable to Parliament and their constituents. And "recent events" - a reference to the suspension of Mr Conway - had shown the system was subject to change. The tribunal heard that ACA claims are checked by Commons validation officers, through basic steps like assessing identities of claimants, that the claim is an "allowable item" and receipts provided where necessary. Mr Walker, the Commons director general of resources, said the National Audit Office checks on 227 claims for individual items last year had shown they were processed correctly. But he added they were checking the Commons authorities' methods - not whether MPs had actually spent the money on what they claimed. MPs were ultimately held accountable at the ballot box, he said. Items commonly requested by MPs, such as televisions, were checked against a spreadsheet they call the "John Lewis list" - to ensure the price quoted was reasonable, he said. He dismissed reports last year that allowances had been used to buy plasma screen televisions, fish tanks and iPods as "misconceived". 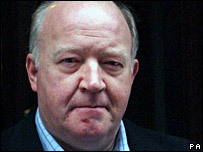 But Philip Coppel, representing journalist Michael Jonathan Ungoed-Thomas, said that, as receipts did not have to be provided for food worth less than £400 a month: "There's nothing checking, for example, that a Member of Parliament doesn't claim for an iPod under the heading of food." In a written statement, Mr Walker suggested that while giving out more detail of one set of expenses might not appear damaging, when put together with details of others it could create "a peephole into their private life" and may put people off becoming MPs. "My own view is things have gone far enough and further intrusion into members' private lives may actually damage democracy, but others may have a different view," Mr Walker said, adding that some details could represent a security risk to MPs. But Mr Coppel accused of him of trying to maintain the "status quo" and said: "It is ridiculous to suggest that the sort of disclosure is going to discourage able people from entering politics." He said greater details had been ordered to be published in Scotland and queried whether there was a shortage of people applying to be MSPs. Mr Tomlinson, representing Ms Brooke, said he was being asked to publish a breakdown of expenses under "very, very broad categories". "To say giving these figures represents a substantial intrusion into private life is, we say, wholly fantastical," he said. He asked Mr Walker if it was not "blindingly obvious" why ACA claims dropped by £2m between 2002 and 2003 - the year the Commons tightened up its monitoring of claims. "The reason why the claims went down is because you introduced more rigorous checks," Mr Tomlinson said. Both the Commons authorities and Ms Brooke, Mr Ungoed-Thomas and Ben Leapman are appealing against the Information Commissioner's ruling on the cases of 14 MPs - that more details should be published under broad headlines. The Commons says it goes too far while the three campaigners say it does not go far enough and claims should be submitted with receipts.